There are good secrets-the kind that are fun and exciting, the kind that you're anxious to share. And there are bad, dark secrets-the ones you may hope and pray are never found out. Even so, like a blockage in a pipe that sends water to places it is not wanted, such secrets make themselves known. Guilty as Charged ... 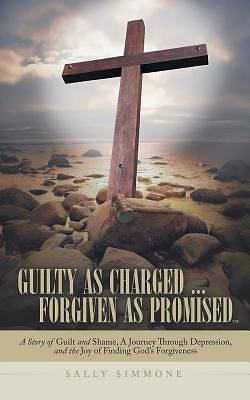 Forgiven as Promised is author Sally Simmone's story of her struggle to rise from the depths of depression caused by the guilt and shame of childhood sexual molestation and wrong choices made as a young adult. Simmone finally broke under the load of secrecy and shame and shared her secret with a friend. With the events of her life open before her, the pain was more than she could bear, and she sank into a deep depression. After years of counseling and even hospitalization, her journey led her to discover the depth of her Savior's love. She shares some of the specific ways God brought her to where she is today and concludes with a Bible study on how one can find forgiveness from God-and oneself. The Bible teaches us to forgive others, even when it doesn't seem possible. Simmone emerged into the sunlight of knowing God's healing and forgiveness. Guilty as Charged ... Forgiven as Promised can help and inspire those who live with a hidden secret to do the same.